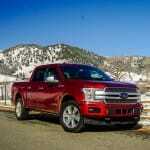 DENVER, COLORADO – We have now experienced the heartbeat of the Ford lineup, the F-150, in almost every configuration. 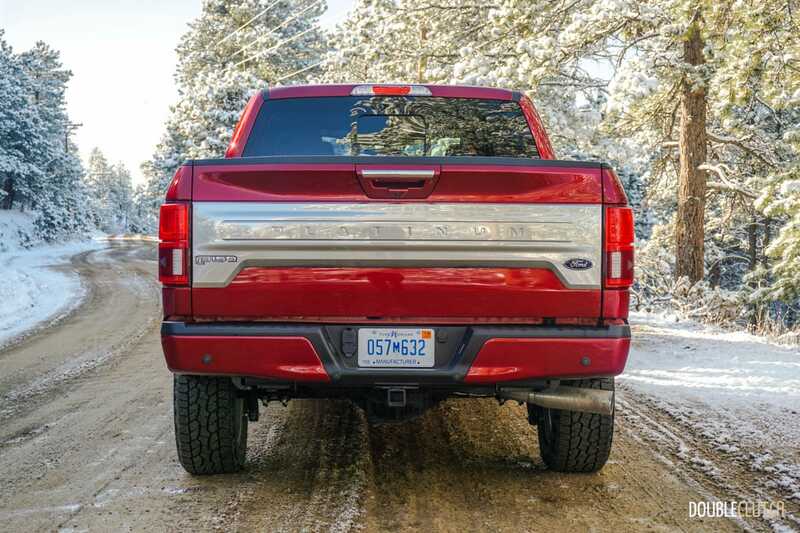 Starting with base work truck-spec trims right up to the raging Raptor (reviewed here) and everything in between, the F-150 is legitimately a token in hundreds of thousands of homes and businesses across North America. One thing was missing from the family though, and that’s a truly efficient option. 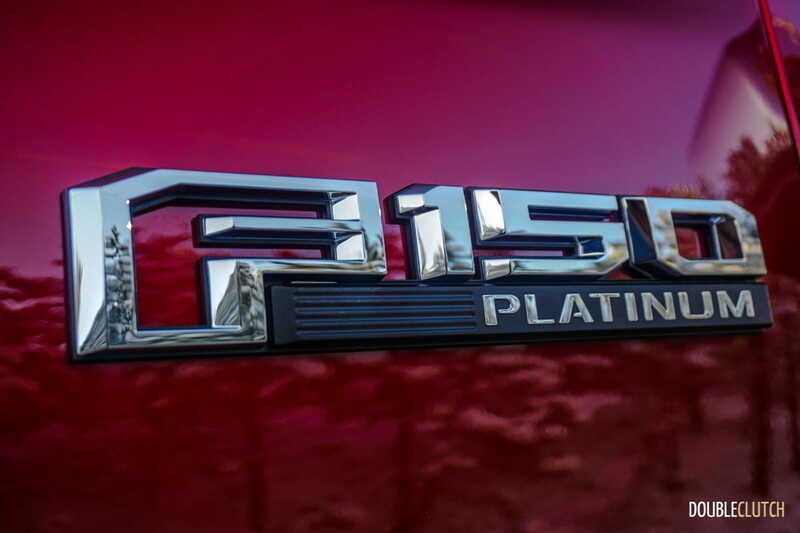 The Ram 1500 (reviewed here) was, up until this year, the only 1500-series truck to boast a diesel engine, and it was inevitable for Ford to join the party. 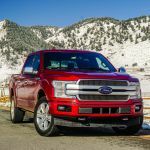 We traveled to Denver to experience the 2018 Ford F-150 Power Stroke Diesel and see for ourselves which truck is king. 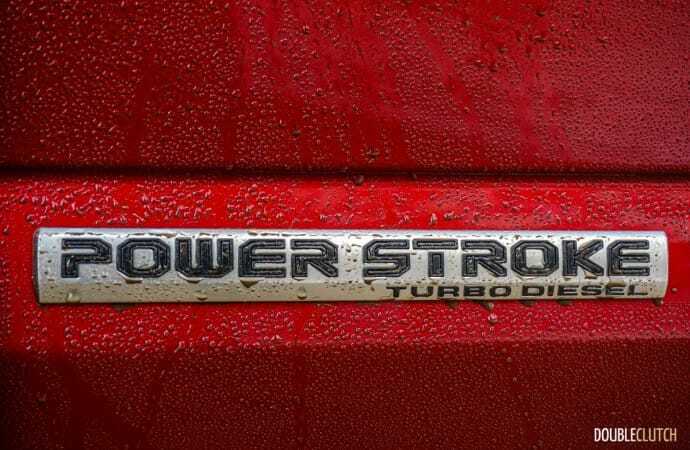 Since we have sampled the F-150 in various iterations, this first drive will focus on the Power Stroke diesel powertrain. 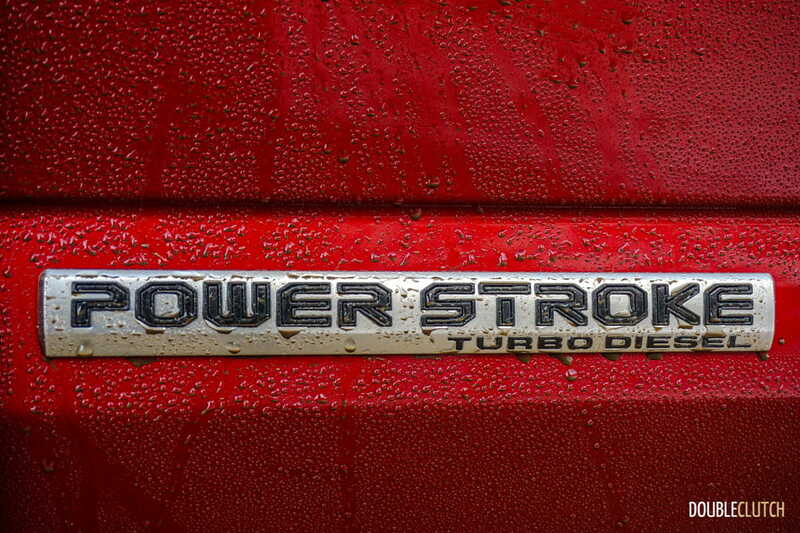 The new 3.0L turbocharged V6 diesel is part of Ford’s Power Stroke family, but it’s far from all new. In fact, this is an engine very similar to one we have sampled and have grown to love in the Range Rover Td6 (reviewed here). 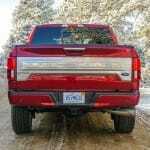 It has been modified significantly for the Ford, but the block itself remains the same. This engine will not only be segment leading in the truck class in various ways, but it’s one of the most refined coal-burners currently available for sale in the mainstream market. 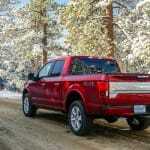 The F-150’s turbodiesel pushes 250 horsepower at 3,250PM but a healthy 440 horsepower at a very low 1,750RPM. 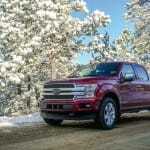 Mated to a 10-speed automatic that is a joint venture with General Motors, the pickup drives down the road with grace and confidence. 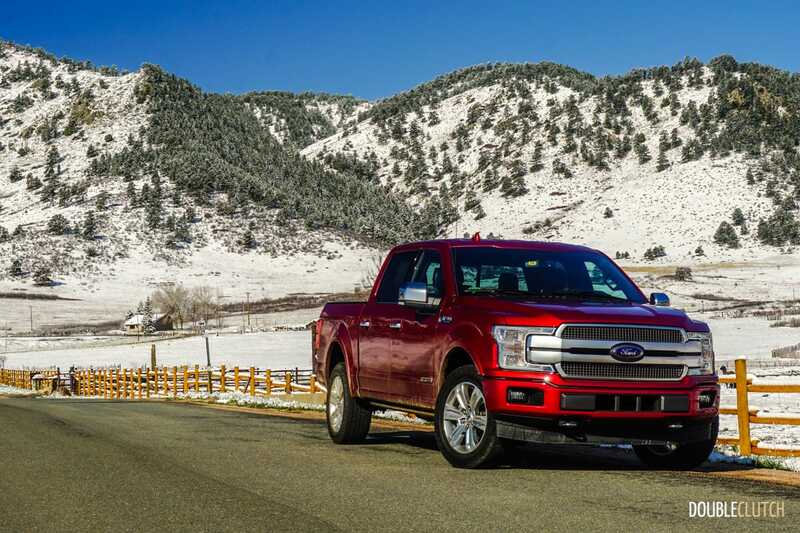 Off-the-line power lacks a little bit compared to the 3.5L EcoBoost (reviewed here), but torque is plentiful and available almost immediately off idle. 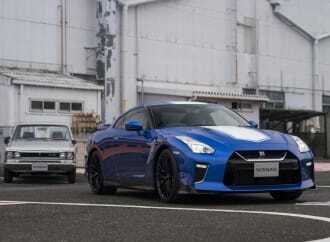 It even sounds good, with an almost-soothing hum of the diesel working under the hood. 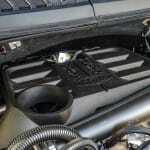 It’s not just quiet for a diesel; this is a very quiet vehicle no matter how you look at it. Sharing some components with the 2.7L EcoBoost also available in the F-150, the diesel’s iron block and forged-steel crank remain the same. 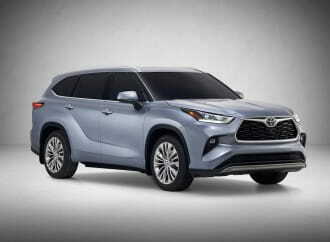 The V6 also gets a variable geometry turbocharger and common rail fuel injection system, all of which contributes to maximum performance while maintaining the efficiency that a diesel is expected to deliver. 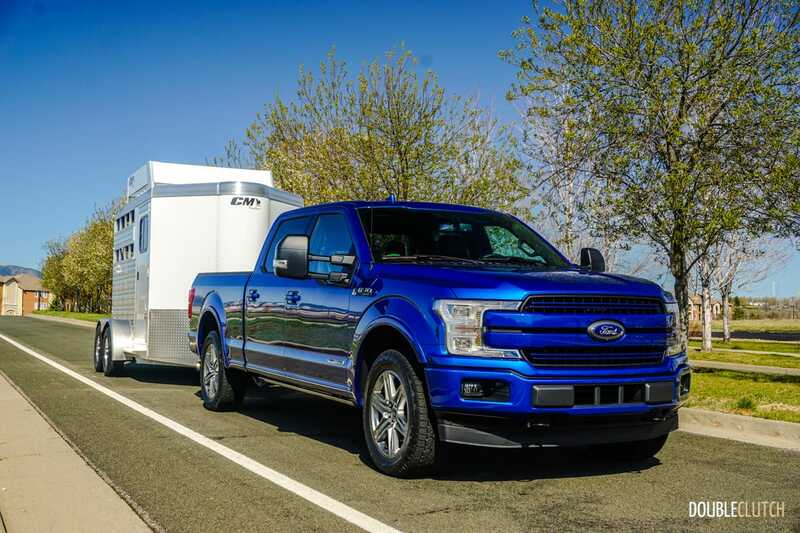 The aluminum-alloy body that debuted on the 2015 F-150 helps keep weight down, but added capability in terms of towing as well as payload in almost all situations. 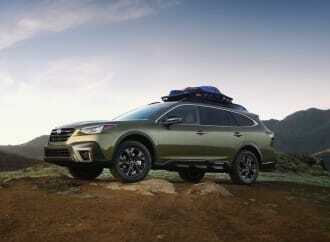 The 2018 model includes much stronger axles for even more rigidity. 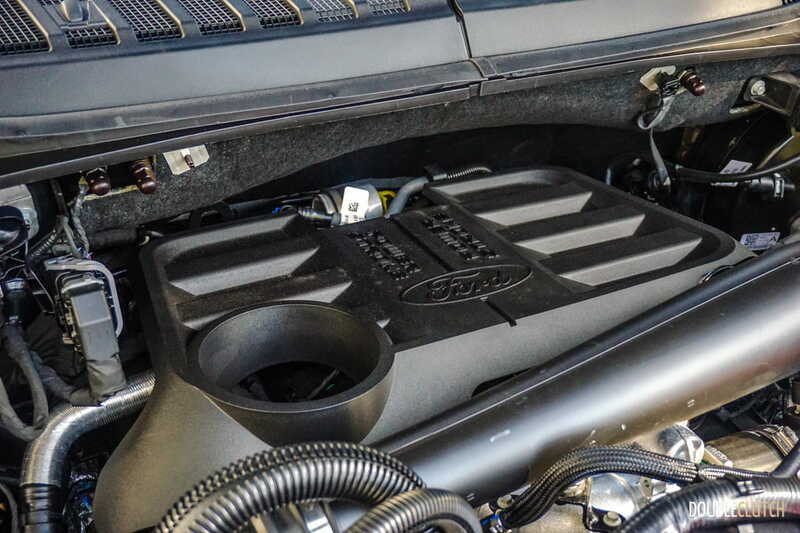 More unique features in the 60-degree DOHC Power Stroke 3.0L engine include high-pressure cooled exhaust, a die-cast structural oil pan, and a compacted graphite iron block. 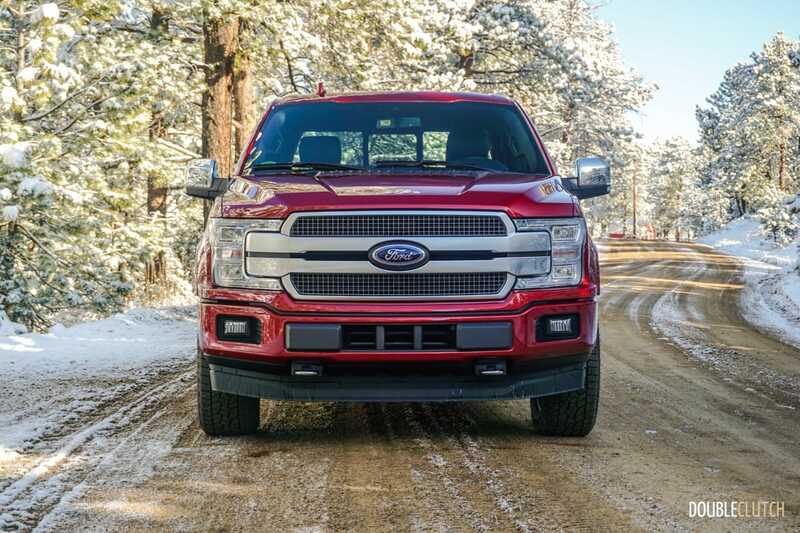 29,000psi of diesel fuel injection means minimum noise, vibration, and harshness while ensuring there is no compromise in either performance or fuel economy. 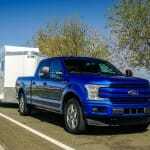 As such, Ford now claims best in class estimated fuel economy, horsepower, towing, payload, and torque. 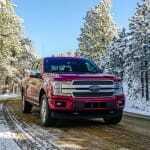 This is a huge claim, and one that means expectations for this truck are very high. 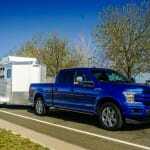 The payload capacity is over 2,000 pounds for the 4×2 regular cab model, and this model can tow up to 11,400 pounds as well. 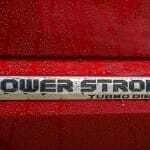 Is the new F-150 Power Stroke a stump puller? Absolutely. 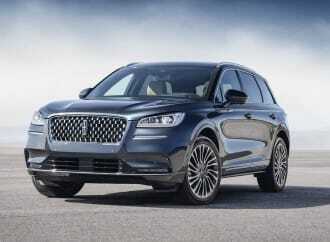 More importantly, it doesn’t feel uncompromised at all out on the road. 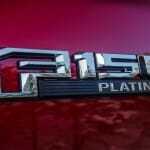 Ride quality is also fairly good, though when unloaded, the Ram 1500 (reviewed here) with the optional air suspension remains the best riding pickup truck in this segment. 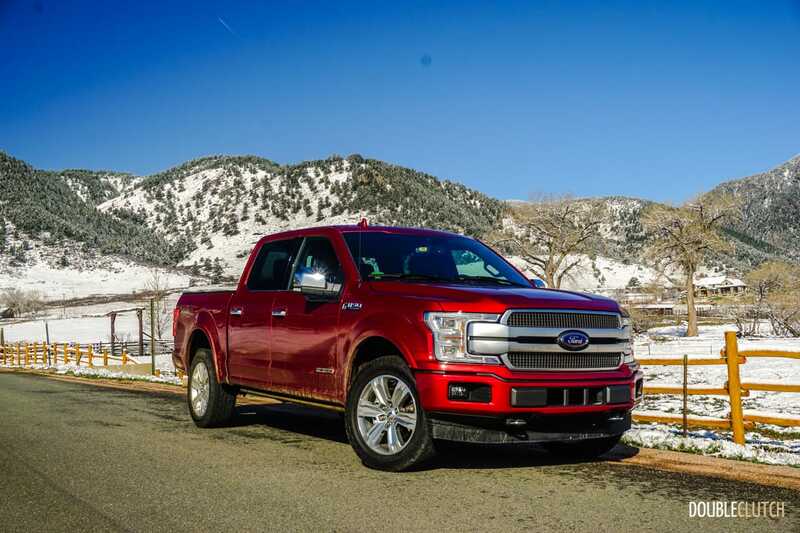 The 3.0L V6 and the 10-speed SelectShift transmission make an excellent combination, and this truck does feel better on the open road when comparing it with the Ram EcoDiesel. 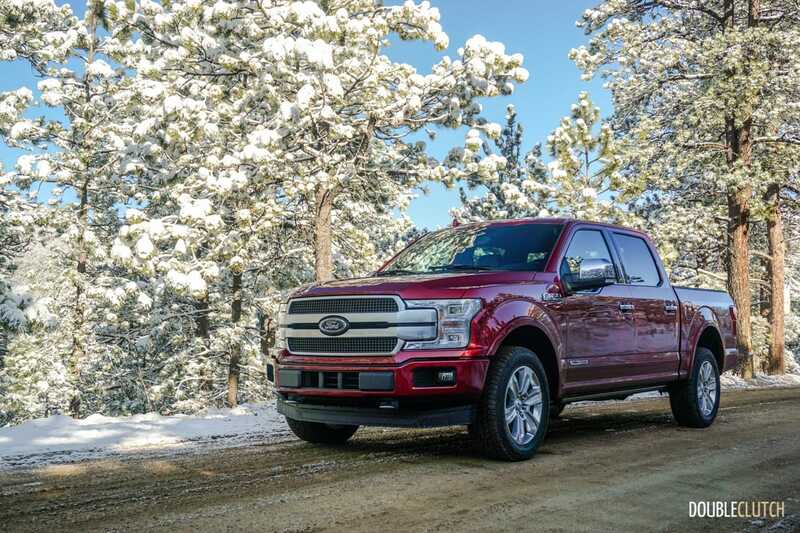 Fuel economy is obviously the biggest advantage to a diesel engine, and the F-150 does extremely well, boasting class-leading fuel economy at this time. 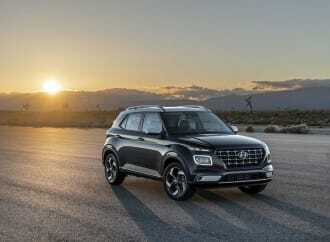 The 4×2 model is rated at 10.8L/100km city, 8.0L/100km highway and a combined 9.5L/100km. The 4×4, which Canadians will want far more, is only slightly thirstier, at 11.3L/100km city, 9.3L/100km highway, and an overall 10.7L/100km. 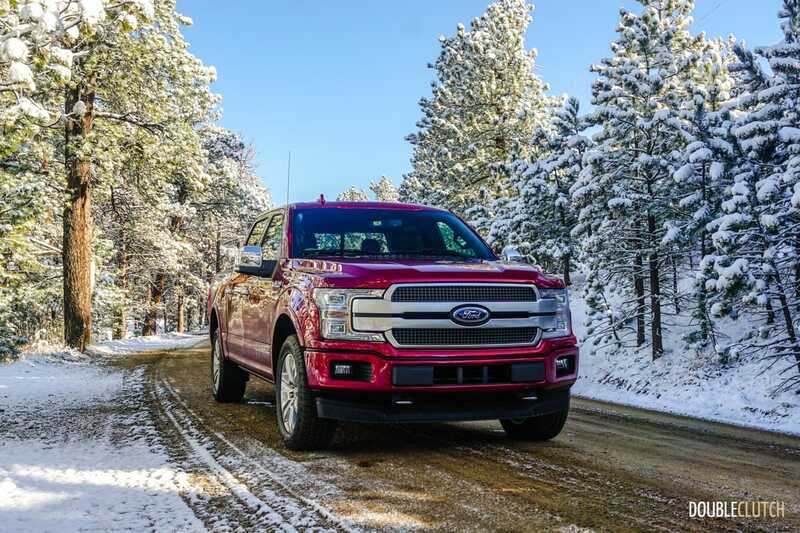 Our test took place in the mountains of Colorado and we saw numbers hovering very close to the rated numbers despite barely broken in engines and cold conditions. 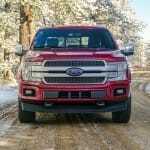 For mainstream consumers, the diesel motor on the F-150 can be had on both 4×2 and 4×4 models, starting at the Lariat trim level. 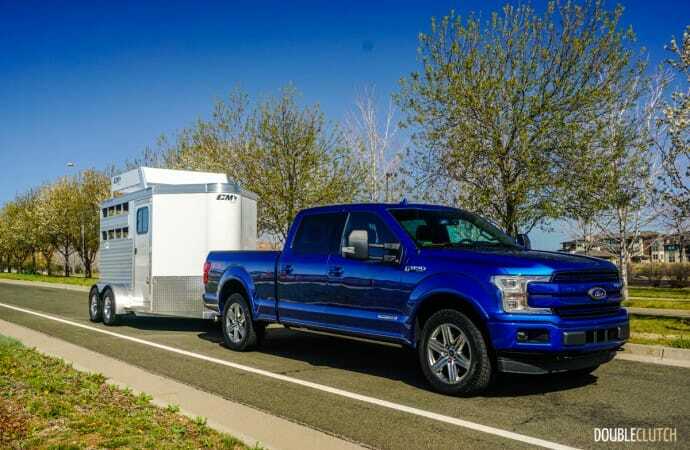 King Ranch and Platinum F-150s can also be had with this combination, in both 5.5 and 6.5-foot beds for SuperCrew models, and 6.5-foot beds with the smaller SuperCab. 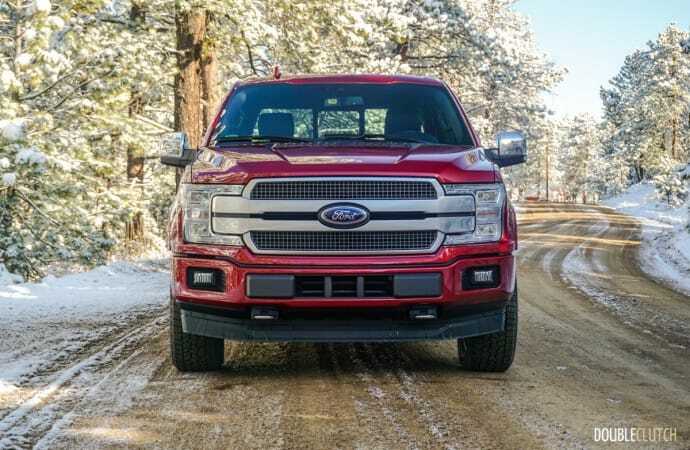 Fleet customers can choose this powertrain combination right across the trim line when opting for 6.5-foot SuperCabs and both 5.5 or 6.5-foot SuperCrew trucks. In short, the potential is vast. 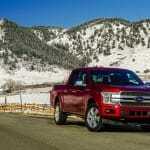 Ford Canada has priced the F-150’s diesel motor competitively, asking for a $8,200 premium over 3.3L models. 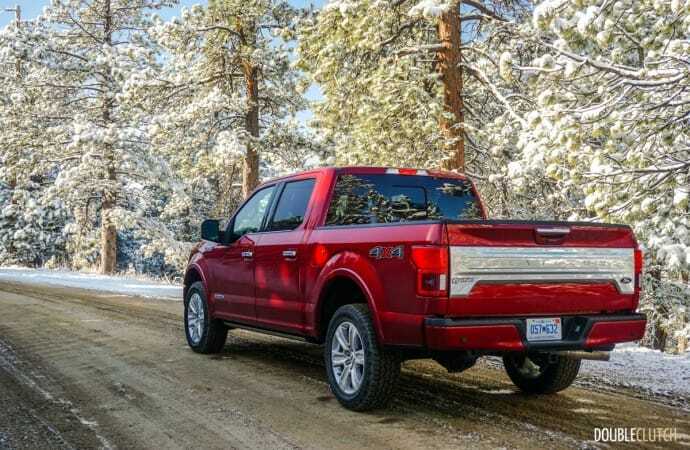 Switching out the 2.7L EcoBoost for the diesel is a bit cheaper at $7,500, and those adding this engine to the 5.0L models will only require $5,650 more. 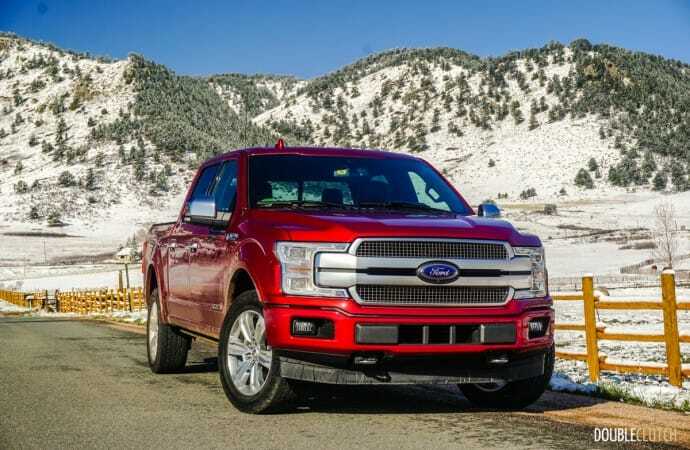 At the end of the day, the 2018 Ford F-150 Power Stroke Diesel is sure to be a leader within its segment thanks to impressive fuel economy and brilliant driving dynamics. The capabilities are just immense – a job well done by Ford.